In some Catholic countries, like Italy, Spain and Portugal, there were actually relatively few witch trials. However, Pope Sixtus IV still felt that the danger was enough to warrant him approving an Inquisition to deal with them. [iii] However, Pope Alexander IV explicitly stopped an Inquisition from dealing with witches as early as 1258. This was possibly because the Church still had its power, whereas in the later period that power was slowly slipping away. The Inquisition, although originally allowed to deal with Jews and Moors in Spain, widened out to include heresy like Protestants, and then witches. In Spain in particular, witches were brought under the control of the Inquisition by an expansion of the definition of heresy. [iv] Heresy was no longer just defined as those not of the Catholic (or Protestant) belief, depending on your viewpoint, but also those who seemed different, and a threat, like witches. According to Merry Wiesner, the Spanish killed only a handful of witches, the Portuguese just one, and the Italians none. [v] Many of the Catholic countries were in southern Europe, and the witchcraze seemed to take hold more in the northern part, like Germany, France and Scotland. Contrary to in Catholic countries, in Protestant countries like Switzerland, witchcraft was seen as a remnant of Catholic beliefs and a product of ignorance. [vi] Witches were therefore seen as being ignorant of the true belief and the true religion. Witchcraft and heresy were closely tied together, as witchcraft trials were on the rise as large-scale heresy trials were decreasing. 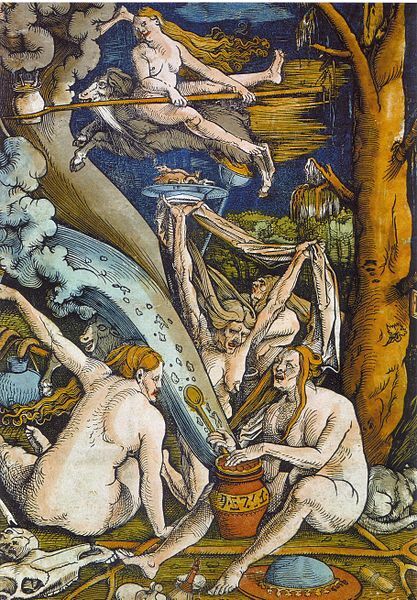 In Scotland there were large-scale witch-hunts in 1590, 1597, the 1620s and 1649. [vii] This was after the period of wide-ranging heresy trials. Hence, it can be argued that witchcraft was merely an alternative way of accusing heretics, without calling it ‘heresy’. Prosecutions in Scotland of witches did not really begin until 1590, although it was different in the Low Countries where they had almost died out by 1578. [viii] These regional differences cannot really be explained effectively. It is similar to the fact that in places like Russia and Estonia the majority of witches executed were men rather than women. [ix] Statistics are cited as being just 32% of witches were female in Russia compared with 82% in Germany, for example. [x] These figures imply that Eastern Europe had very different views to Western Europe, possibly because Eastern Europe was less divided by religion, and had different views of women in general. Catholic Church was strong (Spain, Italy, Portugal) hardly any witch craze occurred … the Reformation was definitely the first time that the church had to cope with a large-scale threat to its very existence and legitimacy’. [xi] This implies that the weakness of the Church – the corruption, wealth and power that made people crave a Reformation – was the reason for so many deaths across Europe of innocent people. The development of countries, rather than putting more faith in logic, seemed to have done the opposite, and made the people believe more in superstitions in a way. 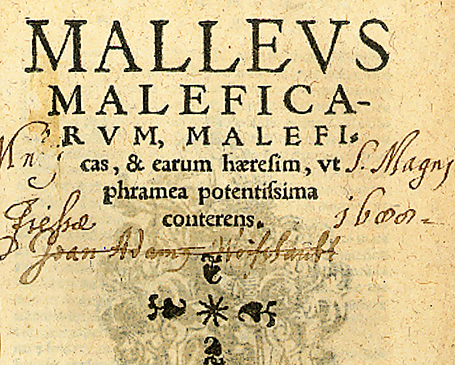 It appears that the witch-hunts were carried out in order to detract from heresy.